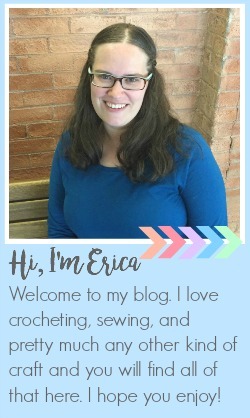 Yesterday I published a new pattern on Fairfield World's site and today I wanted to share it here. When I was trying to figure out what I wanted to do for my project I had decided I wanted to make a Christmas ornament. I really wanted something that could be used for Christmas but I wanted something small that would be easy for people to make since it was going to go on the site only a week and a half before Christmas. I thought an ornament was the perfect thing. Last year I made some really traditional ornaments for Christmas, a Santa, a Snowman, a Toy Soldier, and a Penguin. So far this Christmas I have kind of done the opposite, mostly very non-traditional ornaments. Colorful Owls for my sister and nieces, a painted Pokeball for one of my nephews, a paper dinosaur ornament for another. As a result I couldn't really decided what I wanted to do for this one. I asked my husband for ideas and he mentioned that the new Star Wars Rogue One movie was coming out this weekend, in fact he is taking our boys after school today to go see it. 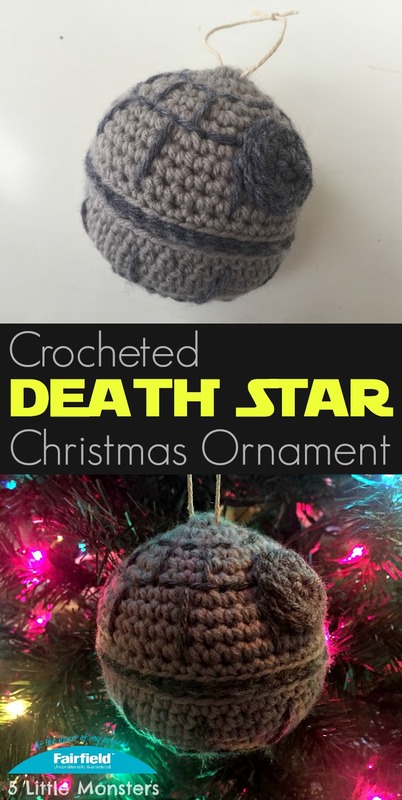 I thought that would be a fun theme to go with and decided on a Death Star. This is what I came up with. 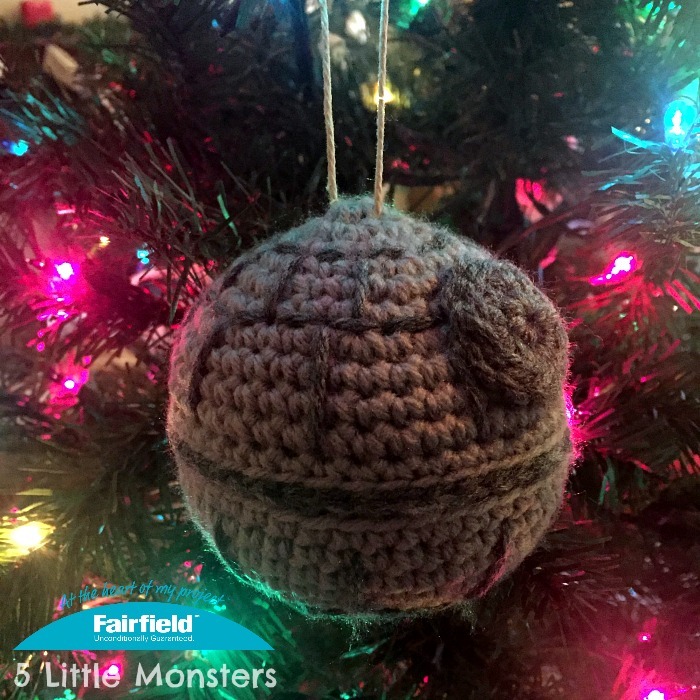 A gray sphere that I made in two halves, because they came out more even that way instead of increasing on one side and decreasing on the other, and some stitching and embellishments in a darker gray color. 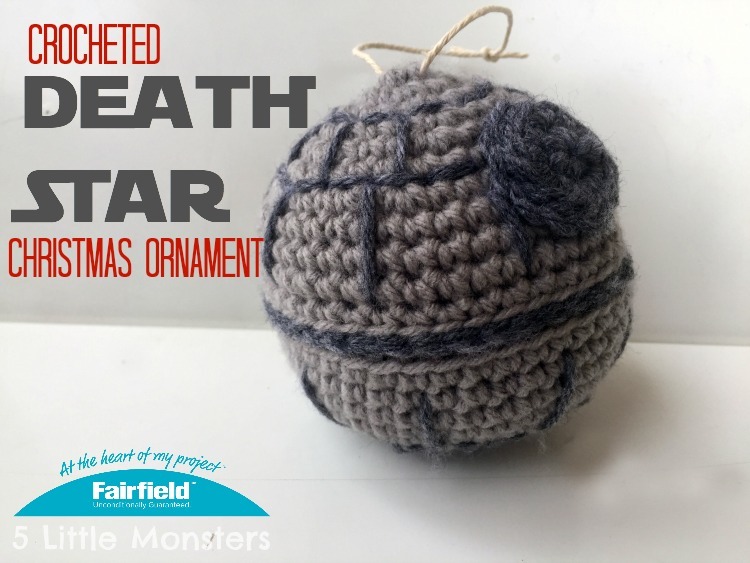 If you have some Star Wars fans in your family that you would like to make one for you can find the free pattern for the crocheted Death Star ornament on the Fairfield World site.